Avian Flu Diary: You Say You Want An Evolution? On their own accord, the sudden emergence of three new avian flu strains in France (H5N1, H5N2, H5N9) over the past month ought to be enough to give one pause, even if these strains never pose a major threat to poultry (something yet to be determined) or to people. For these are only the latest in a long list of new flu strains to appear over the past three years that seem bent on demonstrating their evolutionary prowess. For the 10 years leading up to 2013, the avian flu world was fairly stable. 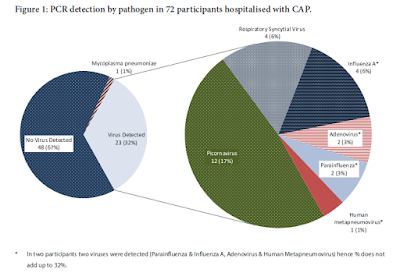 The Eurasian HPAI H5N1 was the big dog among novel flu viruses - and excluding some of the more obscure strains like seal and bat flu - we had a half dozen or so `also rans' like LPAI H5N2, LPAI H9N2, LPAI H7N7 and LPAI H7N3. In the winter-spring of 2013 - not quite three years ago - H7N9 appeared in Eastern China, posing the first new serious human bird flu threat in a decade. It was quickly followed by limited outbreaks of H10N8, H5N6, and huge outbreaks of H5N8 (in poultry) in Korea. As H5N8 spread from Asia (in record time, I might add), it spawned multiple reassortants, combining with local LPAI viruses to create new versions of H5N1, H5N3, and H5N2 in both North America and Taiwan. (Note: You can have many different lineages identified as the same subtype, yet exhibiting different properties). As these avian flu subtypes spread and evolve, they can also pick up mutations through antigenic drift, forming new clades of the virus. As a result, we don't have just one version of each subtype. Several have multiple (sometimes dozens) of variants and genotypes circulating around the globe. The H5N1 virus in Egypt is genetically distinct from the H5N1 virus found in Indonesia, or Bangladesh, and recently Egypt's bird flu problems have been exacerbated by the Emergence Of A Novel Cluster of H5N1 Clade 2.2.1.2. Avian flu evolution took another turn this summer when we saw three outbreaks of LPAI mutate into HPAI (1 in England, 1 in Germany & 1 in France). While not unheard of, these conversions until now have been fairly rare, with only three reported in Europe in the previous decade. With two new HPAI viruses reported in France over the past two weeks (H5N2 & H5N9), we are waiting to see whether these are the product of reassortment, or if they are the result of additional LPAI to HPAI mutations. While we were informed fairly quickly about the lineage and likely source of France's initial HPAI H5N1 outbreak in late November, sequencing information has been slow to emerge on these last two viruses. Even OIE Director Vallat appears unclear on the details, as we learn from the following report. "Development bird flu France never seen before"
'' We have never been anywhere in view of the world that flu so rapidly spreading and that there is another case of three varieties at the same time. '' Says Bernard Vallat, director of the world organization for animal health OIE about the rapidly expanding epidemic of avian flu in the south of France. At the same time assumes its Vallat that the disease will come to a halt as quickly as they are spreading now. France now has 13 cases, mostly at companies with ducks or geese in the south-west of the country. The disease has now spread from near the Spanish border to Limoges. The authorities have identified so far three varieties: H5N1, H5N2 and H5N9. According Vallat it is possible that a low pathogenic variant which remained unnoticed has developed into a highly pathogenic variant. Another possibility is that "two viruses have exchanged their genes'. While past performance is no guarantee of future results, and one should never expect a linear evolutionary progression, it is difficult to look at the escalating rate of new avian flu viruses appearing over the past three years without wondering just when and where the next flu will drop.